In 2011 many metal fans were overjoyed when they heard that Steve “Zetro” Souza formerly of Exodus had come back with a new project that was straight ahead thrash metal and featured Zetro’s signature nasally snarly. Zetro who has been out of the thrash scene and focusing on other fun projects (AC/DZ, Dublin Death Patrol, Tenet) since he departed Exodus after the release of Tempo of the Damned in 2004. Well he is back and better than ever with the release of Heroes of Origin Hatriot’s debut album. One of the coolest things in my opinion is that Hatriot along with being the vehicle for Zetro’s return it is also the coming out party for his sons, bassist Cody and Drummer Nick who throw down excellent performances, and let’s not forget the guitar pyrotechnics of Kosta V. and Miguel Esparza who are truly excellent musicians. Zetro definitely was in good company when he recorded this, and it shows by the amazing quality of the finished product. Heroes of Origin starts off with the track “Suicide Run” which starts off very atmospheric, but this is quickly interrupted by a swiftly down picked riff which starts off the brutal assault on the eardrums this album is. 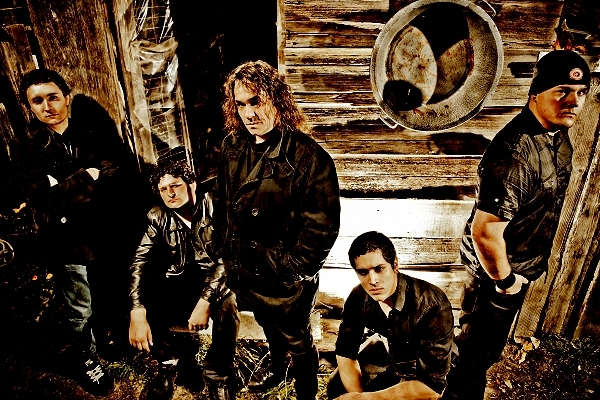 “Suicide Run” is followed by the track “Weapons of Class Destruction” which was also featured on the 2011 demo. This song is very reminiscent of early Legacy recordings when it comes to tempo, but when it comes to lyrics it is a really interesting narrative about the current world we live in. Next up is “Murder American Style” which features some virtuosity in the opening measures, and again Zetro lyrically is on fire when it comes to providing a great narrative of the current state of affairs in America. “Globicidal” is the next track on the album and this was another track that was featured on the original 2011 demo, but this time it has a much better production value thus making the track easier to listen to. I particularly like the diminished chords at the beginning of the song, but by the time the verse kicked in I felt my listening experience was getting a little monotonous. But then I got a straight dose of why I love Zetro and that is his Exodus inspired music such as the next song “And Your Children Be Damned” which is a clearly taken from a page of the Exodus playbook. But what really gets me on this song is the awesome guitar pyrotechnics in which Kosta V. and Miguel Esparza really run free. The next track that really caught my interest was “Shadows of The Buried” which has a very slow and eerie intro that made the hairs on my back stand up, and this really drew me into the track which has a really “Seasons in The Abyss” feel to it, but this changes when the song lifts in BPM and Zetro’s vocals come in. Again this song features excellent guitar playing that is very intricate and delicate while still remaining ferocious and cutting. 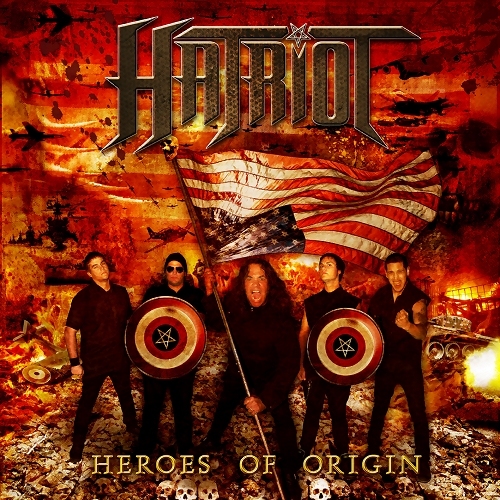 Next up came the closing and title track “Heroes of Origin” which is another straight ahead thrash song that shows Hatriot is maintaining Mach 10 speed. Be sure to check out Heroes of Origin, as it truly is following the blueprint of everything that makes a great Bay Area Thrash record, and with a resume like Zetro’s, who could argue?